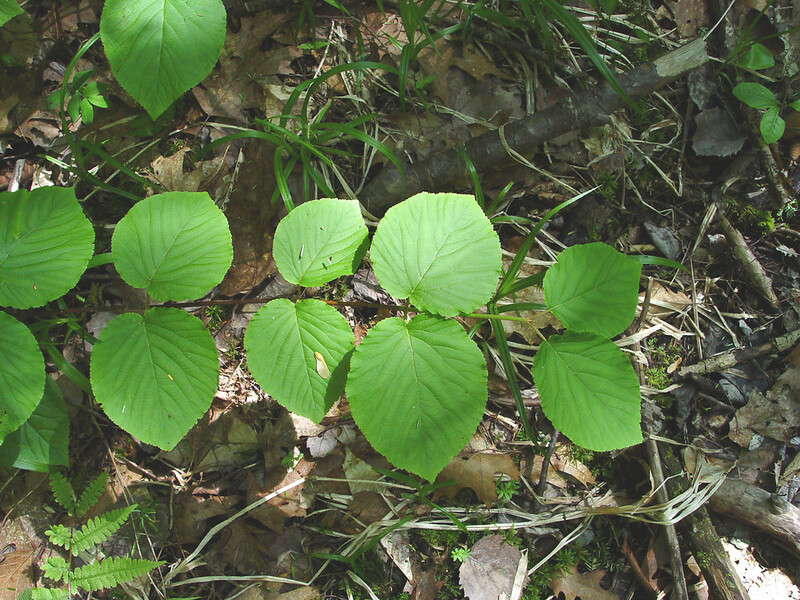 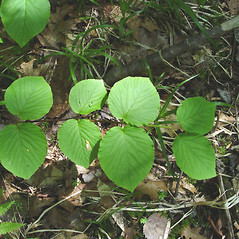 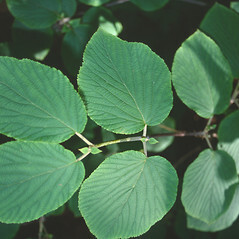 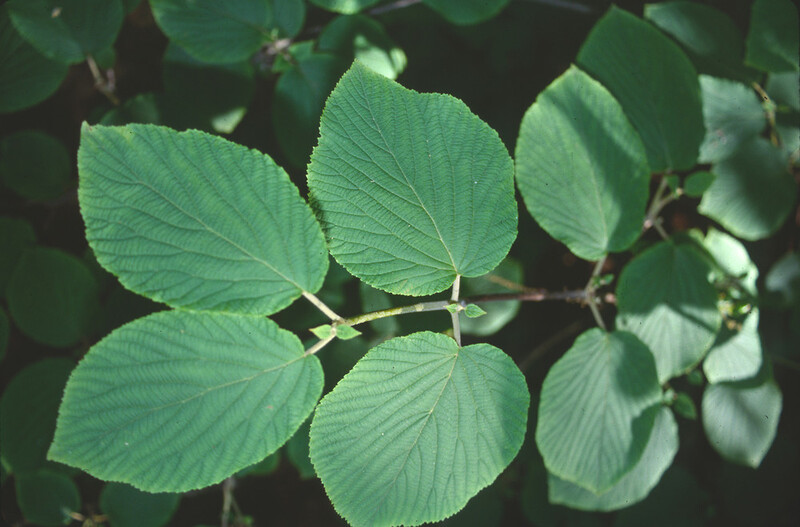 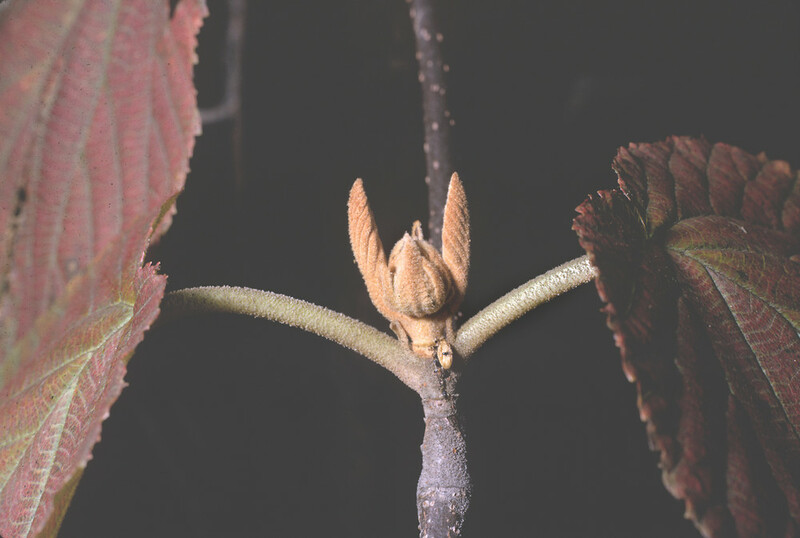 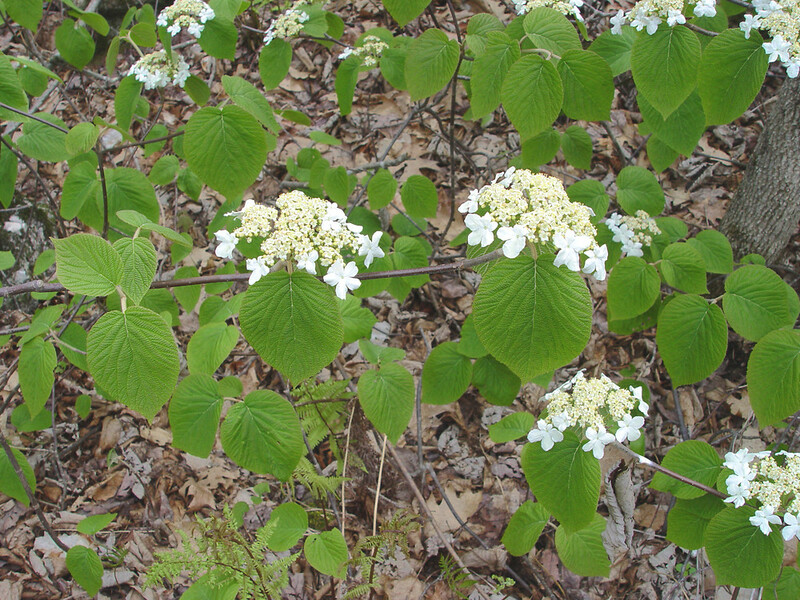 Hobblebush inhabits the understory of cool forests. 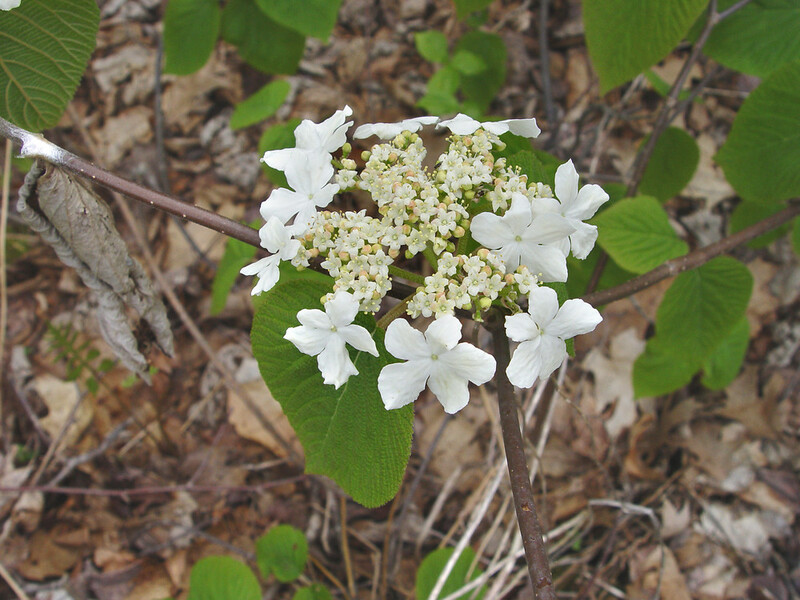 It produces flat-topped clusters of white flowers in two forms: 1) an outer ring of 3/4-inch wide, showy white flowers that are sterile, but may attract pollinators; and 2) an inner cluster of small greenish, fertile flowers. 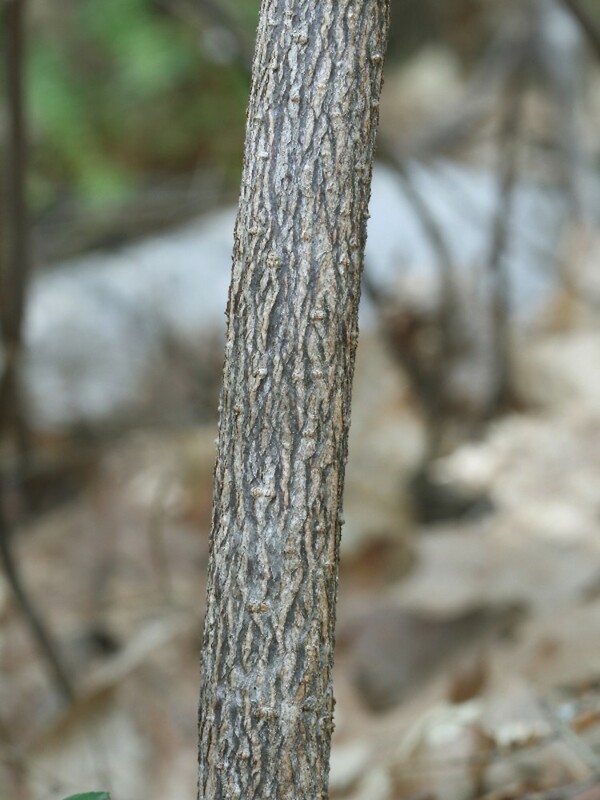 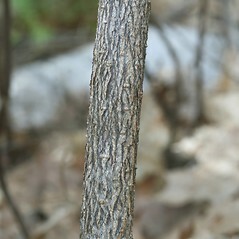 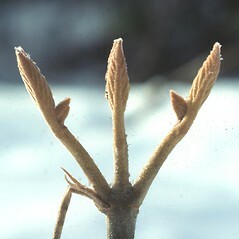 This shrub is a host plant for the caterpillars of the spring azure butterfly (Celastrina ladon). 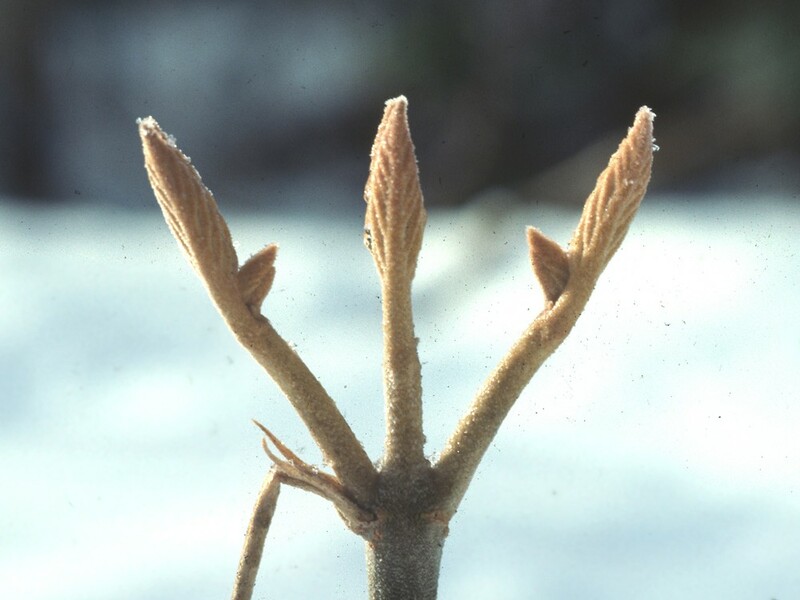 marginal flowers enlarged and leaf pubescence gray (vs. V. lantana, with marginal flowers of inflorescence enlarged and leaf pubescence red-brown to yellow-brown). 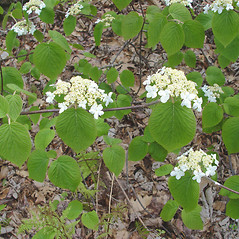 hobblebush. 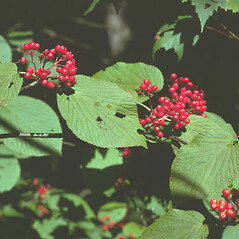 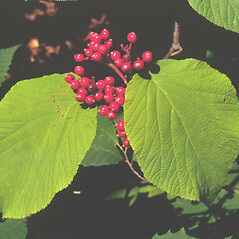 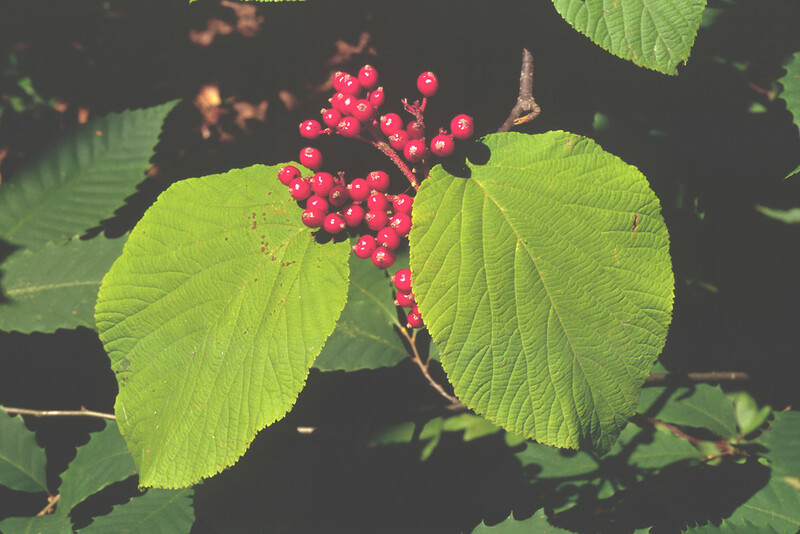 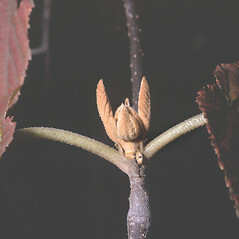 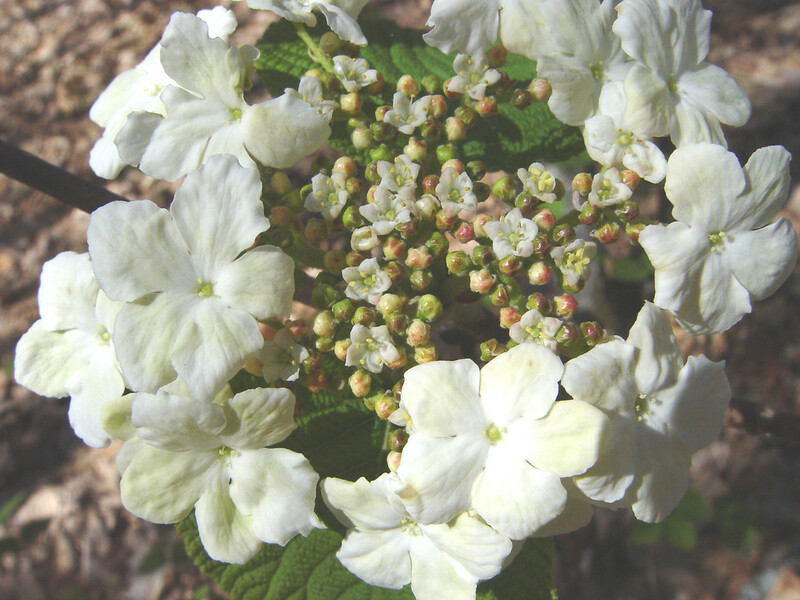 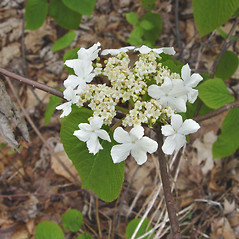 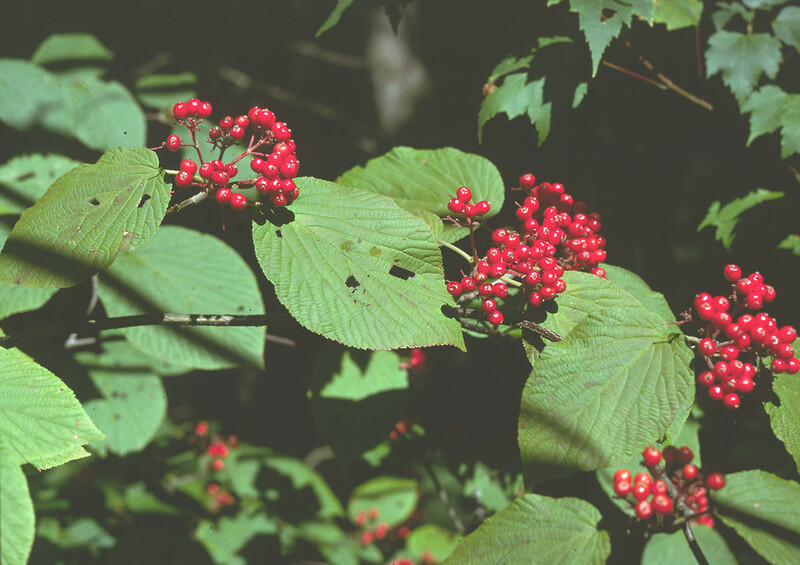 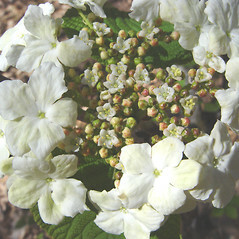 Viburnum alnifolium Marsh. 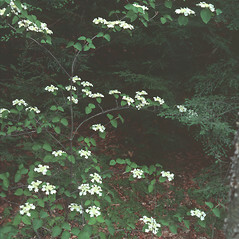 ; V. grandifolium Ait. 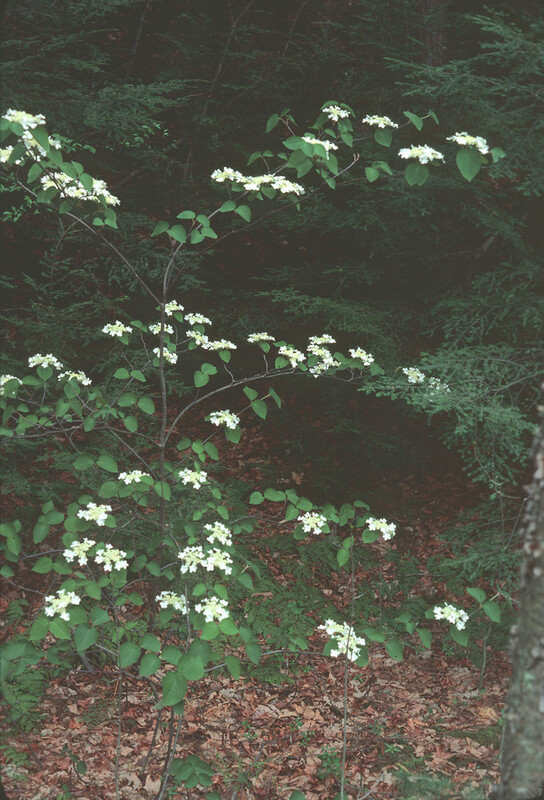 • CT, MA, ME, NH, RI, VT. Temperate to boreal, mesic to wet-mesic forests.